After a long and crazy joyride in overshoot, enormous bills are coming due. Industrial civilization is sliding toward foreclosure. Capitalism gets the blame, but the roots of the madness go far deeper, older than ancient empires. Many public buildings in America imitate the architecture of the Roman Empire, with their rows of tall stone columns. Like ancient empires, our economic tentacles reach far into distant provinces, sucking up the wealth. Like them, we are obsessed with perpetual growth, by any means necessary, to avoid being absorbed by competing empires. Empires must constantly resist competitors. Empires behave like alpha male chimps defending their harems. Alphas live amidst numerous horny alpha wannabes, who carefully wait for the moment when the big boy stumbles. Julius Caesar was a famous alpha, and The Gallic Wars is the story of his glory days, when he turned hundreds of thousands of folks into wolf chow and compost. His book gives us a glimpse of life in Western Europe more than 2,000 years ago (51 B.C.). Chimps fight for dominance with fists, feet, teeth, and teamwork. Killing is not the objective. Caesar’s troops were professional killers, well equipped with state of the art swords, spears, helmets, armor. Fighting was face-to-face. Warriors had to “come to grips” with their foes, and get splashed with blood and sweat. Those who were aggressive, strong, experienced, and lucky were more likely to see another day. Today, we fight more with technology — triggers, pushbuttons, and mouse clicks. There were two groups in Gaul’s upper class, Druidic priests and warriors. The priests provided spiritual guidance, resolved conflicts, and oversaw sacrifices. Their training, which took up to 20 years, required them to memorize a large collection of verses. Druids shunned writing, because it weakened memory, a crippling handicap. Consequently, we know almost nothing about them today. Caesar noted that human sacrifices were common, an excellent way to reward criminals. Men were sometimes burned alive in wicker baskets. Gallic warriors had no fear of death, because souls never die, they move to other bodies. Their tribes clashed like Los Angeles street gangs. If the Gallic tribes had been unified, they could have turned the Romans into wolf chow, but they figured this out too late in the game. They eventually merged their armies together under Vercingetorix, and 40,000 Gauls attacked Caesar. 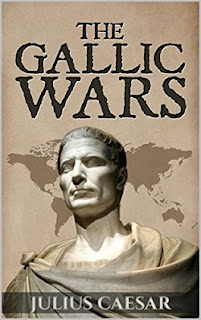 At the end of the battle, only 800 Gauls survived (according to Caesar). When Caesar conquered a tribe, they were forced to pay tribute to Rome. They also had to provide conscripts for the Roman legions. The legions largely consisted of lads from the provinces, not indigenous Romans. In Rome, the citizens enjoyed many luxuries, thanks to the massive wealth extracted from the provinces. Military expansion generated many prisoners, who were either executed or sold into slavery. Around 30 to 40 percent of the residents of Rome were slaves (similar to low wage workers today). They were often treated brutally. Today, our school children are taught that Rome was cool, a role model for a great nation. Caesar took his troops to England. Along the southern coast, there were colonies of Belgae farmers, who lived much like the Gauls. North of the coast lived the indigenous Britons, who were skilled at hit-and-run guerilla warfare. They would swarm out of the forest, kill disorganized troops, and return to the forest, where Romans dared not follow. Few Britons grew grain. They were herders and hunters who lived on milk and flesh. They were clothed in animal skins, and the men had long hair and moustaches. Warriors applied woad to turn their skin blue, causing opponents to wet their pants with fear. The effort to conquer England failed when most of the Roman ships were destroyed by a powerful storm. Caesar was almost defeated, and barely managed to escape. German tribes were the scariest opponents. Most of them lived east of the Rhine River, but some had crossed the river, and conquered portions of Gaul. This was a serious threat to empire turf. Caesar attacked the 120,000 German intruders, transforming most of them to wolf chow. He then built a wooden bridge across the Rhine, spent 18 days molesting Germans, returned to Gaul, and destroyed the bridge. Roman legions did not haul tons of food with them on their campaigns. They acquired food along the way, snatching it from farms and towns. This didn’t work in Germany, where little grain was grown and stored. Also, wilderness warfare gave the Germans a huge advantage. Protected by the mighty river, they were lucky to remain wild and free longer than other regions. In those days, Germany was a land of vast forests and wetlands. Caesar jabbered about the numerous stags and elk. The aurochs (wild cattle) astonished him. He said they were a bit smaller than elephants, and impossible to tame. “Their strength and speed are extraordinary; they spare neither man nor wild beast which they have espied.” The “wild and savage” Germans “were men of huge stature, of incredible valor and practice in arms.” They were hunters, herders, and warriors. Their diet majored in milk, cheese, and flesh. They wore deerskin cloaks that left much of their bodies exposed, even in cold weather. Chieftains assigned parcels of land to clans and families every year. Everyone had to move annually, so nobody constructed McMansions (cool idea!). The best parcels never stayed in the same hands, and this wisely prevented some from getting richer than others. Equality breeds contentment and cooperation. On the other hand, robbing others was OK. Raiding outsiders was a good way to improve useful skills, grab booty, and cure boredom. Conquest was also OK. It pushed back folks who might raid your livestock. Life was more secure when outsiders lived nowhere close. The best neighbors were those who lived far away, and were never seen. The Suevi tribe was the largest, most warlike, and most feared. On one side of their territory, there was an uninhabited region that was 600 miles long. Smart people didn’t mess with them. As discussed in my review of Germania, tribes that became dependent on agriculture and/or herding increased the carrying capacity of the land. Thus, population increased, as did social tensions. Livestock were valuable status trinkets that presented an irresistible temptation for rustlers. Raiding and tribal warfare were common in this era. The same pattern emerged in the American west (and everywhere else) when tribes acquired domesticated horses and livestock. Anthropology reports that nomadic hunter-gatherers avoided much craziness by owning very little. They were egalitarian — the opposite of empire. Anyway, everyone in Rome was amazed by Caesar’s astonishing success in war. Then, when he returned to Rome, he was assassinated by nobles. The end. Caesar, Julius, The Gallic Wars, London MacMillan, London, 1908. Translated by T. R. Holmes. 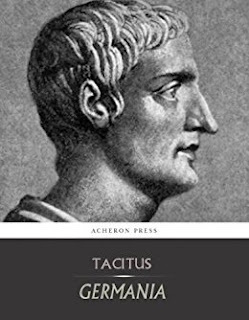 In the days of Tacitus, Germania was a vast wild frontier of forest and marsh, “a land rude in its surface, rigorous in its climate, cheerless to every beholder and cultivator, except a native.” The mighty Rhine River separated the German motherland from the tribes of Belgica (Belgium) and the Celtic tribes of Gaul (France). Since there were no bridges in those days, the treacherous fast-flowing river provided an effective security barrier. The Rhine protected Germania from the evil Empire. Moving armies across the wild river was a serious challenge, and the barbarians on the other side were notoriously ferocious. The German side was heavily forested. The Roman war machine excelled at fighting in open country, and avoided engagements near forest, where they lost their tactical superiority. So, the badass Germans remained proud, wild, and free, whilst the tribes of Gaul and Belgica, who surrendered to Empire (to avoid annihilation), were obligated to pay tributes and taxes, and provide numerous young conscripts to fight in the Roman legion. Throughout Germania, the people had the appearance of a pure unmixed race. They had reddish hair, blue eyes, large strong bodies, and were not weakened by cold or hunger. They raised herds and flocks, and grew a little grain. Their diet majored in meat, cheese, fruit, and beer. Warriors took great delight in fighting, hunting, feasting, and oblivion drinking. Dreary laborious toil was the domain of women, old men, and slaves. 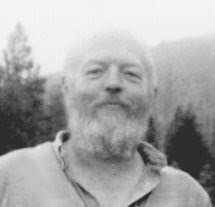 Germanic spirituality majored in reverence for nature. They worshipped in the living temple of the great outdoors — not inside walls. Their deities inhabited sacred groves that were the tribe’s place of origin. Folks would gather in the grove and offer sacrifices, which were sometimes human. A number of tribes had festivals honoring Ertha (Big Mama Earth), a deity always present in their lives. Notably, they were still animists — they did not imagine their deities to have human form. Centuries later, as Indo-European influences intensified, a pantheon (family) of humanlike deities evolved in German metaphysics. In this new culture of human supremacy, a powerful male god ruled over a colorful mob of lesser gods, goddesses, and tricksters. This tradition spread from Greece (Zeus), to Rome (Jupiter), Germany (Wotan), and Scandinavia (Odin). Germania was not a realm of love and peace. “They actually think it tame and stupid to acquire by the sweat of toil what they might win by their blood.” Raids and conflicts were common, and tribes depended on their warriors for survival. In their rites of initiation, the transition of a boy into a man was marked by giving him a shield and spear. From then on, the man was not allowed to cut his hair or beard until the day he killed his first foe. Year after year, tribes invested much time and effort in killing folks from other tribes. Romans were delighted by the fact that Germans worked so hard to kill other Germans. They had to fight to survive. The Cherusci were seen as foolish and cowardly, because of their deep love of peace — they were exterminated. It was common for conquered tribes to go extinct; survivors were sold into slavery. The Batavi avoided gangster raids by inhabiting an island in the Rhine. The Suiones felt so safe and secure that they didn’t carry arms all the time — they had a pleasant life by the sea, centuries before the era of seaborne Viking terrorists. Some tribes enjoyed safety by inhabiting remote locations in vast primeval forests. Every ecosystem has a limit to how many humans it can support. In the time of Tacitus, the carrying capacity was quite low, because large-scale forest mining and soil mining were not yet possible. Iron axes were still rare luxuries, and the moldboard plow would not come into common use for another thousand years. Forest soils were too heavy for digging sticks. Aurochs (wild cattle) inhabited a range spanning from England to China. Bulls were up to 6 feet (180 cm) tall at the shoulder, much larger than modern cattle. They were very strong, terribly aggressive, and loved to disembowel passing humans, wolves, and other annoyances. Hence, the Germans preferred to enslave passive, dim-witted domestic cattle and sheep, which could be confined close to home. By milking the livestock, they could extract four times more calories from their enslaved animals, compared to simply eating them. Cheese could be stored for later use. Nobody owned aurochs, or confined them to pastures, but somebody did own the horses and livestock. These animals were an important form of wealth, and stealing them from neighbors was an exciting way to get rich quick, or die trying. Hence, raiding was a popular pastime. Naturally, it was a good way to make enemies, and ignite long-term feuds. By majoring in herding, and building no permanent settlements, tribes could pack up and move when life got too hot. In a world of tribal warfare, there was strength in numbers. Family planning increased vulnerability. “To limit the increase of children, or put to death any of the later progeny is accounted infamous.” Thus, limited carrying capacity, plus population pressure, plus the crazy-making juju of hoarding wealth hurled Germania into a bloody cesspool, similar to the far larger one we’re soaking in today. Our cousins the chimps do not enslave domesticated animals to inflate carrying capacity. They respond to the tensions of crowding with kicks, punches, and bites — sometimes killing competitors. Germans did increase carrying capacity, did not limit births, made enemies with raiding, nurtured feuds, and resolved tensions with spears, javelins, and long knives — intending to kill competitors. This was not the only possible strategy, in theory, but it has been common around the world. Crowded critters get crabby. Tacitus, Caius Cornelius, edited by Hadas, Moses, Complete Works of Tacitus, The Modern Library, New York, 1942. Germania is a short work, and free downloads are available on the web in PDF and text. Amazon has a free Kindle version.